Toops' Scoops: Whats Happened to the American Dream? Home / Articles / 2009 / Whats Happened to the American Dream? Experts have made so many prognostications about the recession’s duration. Some predict the recession will end during the third quarter of this year, others claim a rebound won’t begin until the end of 2010, and some naysayers claim it will never end. Because the current recession differs from past recessions in depth and scope, the American consumer is questioning the fundamental assumptions of the American dream -- characterized by buying a house that rises in value, holding a job with security, building savings, easy availability of credit when needed and a better future for the next generation. A new niche of consumers identified as the “Downturn Generation” has been created by the current recession and is adopting practices similar to Depression-era shoppers in order to weather the recession and keep a close eye on spending long after the recession ends, according to Chicago-based Information Resources Inc. (IRI). Optimists, who believe “things will get better during the next 12 months.” They spend wisely, cut back selectively and make sacrifices as a last resort. Maintainers, who agree that “the economy won’t get worse, but it won’t get better either.” They also spend wisely, but are more aggressive about making cutbacks. Pessimists, who identify with the direst predictions, believe “if you think times are hard now, next year will be worse.” These folks cut back wherever possible and hunt tirelessly to find deals. Nearly 64 percent of surveyed shoppers characterize their financial condition as a little or a lot worse off than last year; approximately 30 percent believe their finances will be a little or a lot better one year from now; 70 percent note they have less savings than before, and 71 percent agree they have less total wealth. Just over half work to make ends meet by trying new brands priced below the brands they’ve purchased in the past; 39 percent are giving up some of their favorite brands entirely; and more than 51 percent have redefined “essential.” More than 44 percent seek out and buy store brands as part of a money-saving strategy, and 46 percent buy more private label or store brands than in the past. Treats have not disappeared from the menu, however. Just fewer than 54 percent look for affordable indulgences, and 44 percent still buy their favorite treats but in smaller quantities. 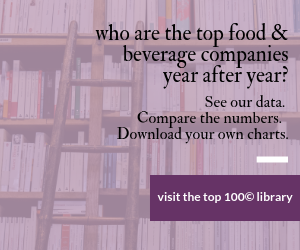 Only 16 percent still splurge on premium or gourmet products on a regular basis. Spending on “good-for-you” food products is down, and 30 percent buy fewer healthy products because they are more expensive. Similarly, 30 percent purchase less fresh produce, and 47 percent buy fewer organic products. Packaging preferences are evolving as well, with 58 percent buying fewer products packaged in individual servings, because they are more expensive per serving than full-sized packages. Shoppers also are changing how they prepare meals. More than 56 percent buy fewer prepared meals at grocery stores, while just over 53 percent cook more from scratch or include fewer convenience foods to save money. For at least the past decade, consumer packaged goods (CPG) companies focused on new product development to generate incremental revenues, and shoppers have been willing to pay more for these new innovations. Today, shoppers are much more focused on price and will react to re-engineering an existing product to cost less as opposed to creating a new product that might perform a function a little bit better but at a higher price point. Thus “good enough” is good enough, points out IRI. And the Downturn Generation will take significant convincing before they believe it is safe to open their wallets and purses again. Unlike Boomers, Gen X’ers and others, this generation is not defined by age but by mentality. This group has less long-term optimism and a much more cautious outlook for the future than their predecessors. Even though gas prices have declined as much as 50 percent from the highs of fall 2008, 73 percent of surveyed shoppers state rising gas prices “Impacted” or “Strongly Impacted” their financial situation during the past six months. And 75 percent note rising food prices “Impacted” or “Strongly Impacted” their financial situation, even though food prices have largely leveled off or declined since summer 2008. Consumers are becoming more resourceful and strategic when planning their purchases for meals, wardrobe, home and automobile maintenance and personal care. New approaches identified include consumers turning to the plethora of information available on the Internet to help prepare for purchases, clip online coupons and research reviews, commentary and opinions on products and services before making a purchasing decision. In fact, more than 44 percent of shoppers are using online resources to find coupons today, and 55 percent of them plan to continue this practice into the future. Shoppers’ weakened financial conditions are profoundly affecting how they shop and what they buy: More than 69 percent are more likely to look through retailer ads for deals; Nearly 82 percent are more likely to look for sale prices once in the store; and 65 percent say price is becoming more important than convenience in brand purchases. Consumers are also cutting back on their healthcare costs, opting to treat themselves at home versus visiting a doctor and increasing their use of over-the-counter (OTC) medications. Nearly 44 percent of surveyed consumers are trading their doctor for information on the Internet and half of those shoppers will use this strategy in the future. Additionally, individuals are limiting spending on new clothes and foregoing home projects, vehicle upkeep and home cleaning rituals. A significant 70 percent of shoppers are cutting back clothing purchases, with 56 percent of them noting they will do so in the future. And 60 percent of individuals are wearing clothing multiple times to reduce laundry costs, with half planning to continue to do so.